Welcome to Shinobi Revelations! 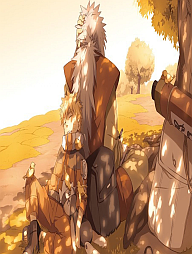 A Naruto RPG site, where every Shinobi matters. Join the Naruto Revelations IRC! Take note that the site is still under construction system-wise! We're doing our best to get things up and running, and you may find our placeholder systems helpful until they're finished and official. If you have questions, please feel free to post in the Kage's Office with any concerns. Want to help the site get up and running faster? We're seeking an addition to our staff team that would be willing to help us with a lot of grind work! If you're interested in joining the team (may be temporary) and getting things 100%, leave a post in this topic. The plot of Naruto: Revelations is here! This is where important things that involve the entire site as a whole will go. It's good to take a visit and review new and old events of the site, as many of them will often be important to you or the plot. You might find that being informed is far more helpful than any technique. The rules of the site and everything you need to know about living in the world of Revelations. This should be your first stop before beginning character creation, and especially before working on anything beyond that. Whether you're coming or going, be sure to post about it here. Greet the members or let them know that you'll be gone for a while. If you are going on absence, be sure to notify the staff by making a topic here, otherwise there can be consequences in your topics. Need help with something? Have questions that no guide can answer? Running into a wall? Come here and submit your problems to the staff. We'll do our best to help you out. The library of Naruto Revelations. Here you'll find all of the OOC information that you need. If something is missing, feel free to post about it in the Kage's Office and we'll see about including it in the library. This is the forum for creating your character. We recommend that you create KKG or Clans before you enter this area, as they must be approved before your character can be. This is where the non-player characters come to life, populating the ninja world so that you're not in it alone. If you're in need of a companion or need to create NPCs for a mission, this is the place to do it. This is the library made specifically for you! That's right, this is your very own Kabuto-esque ninja information card. This will provide information on your current statuses, abilities, and all sorts of things. See inside for information for keeping your character updated and ready to go. Dreaming up your perfect family, group, or ability? Make it more than just that here. The forum dedicated to the creation of your custom techniques. Whether your plan to spam like Naruto, or create an entire library like Tobirama, this is the place to do it. Dreaming up the perfect weapon or item for your arsenal? This is the place to make it real. Create a single summon or an entire family of them in this forum. Or, if you're feeling adventurous, you can even design new creatures for the world. Encounter and slay them over missions or any way you wish. Located on an island off the coast of the Land of Fire, this was once home to Uzushiogakure no Sato, The Village Hidden by Whirling Tides, or Hidden Whirlpool Village as it was commonly known. After the events in The Land of Wind however, those left of the Hidden Leaf Village made refuge here to this island and rebuilt Konohagakure. Much of this land is similar to that of the Land of Fire, except for its much smaller size and the ocean surrounding it. 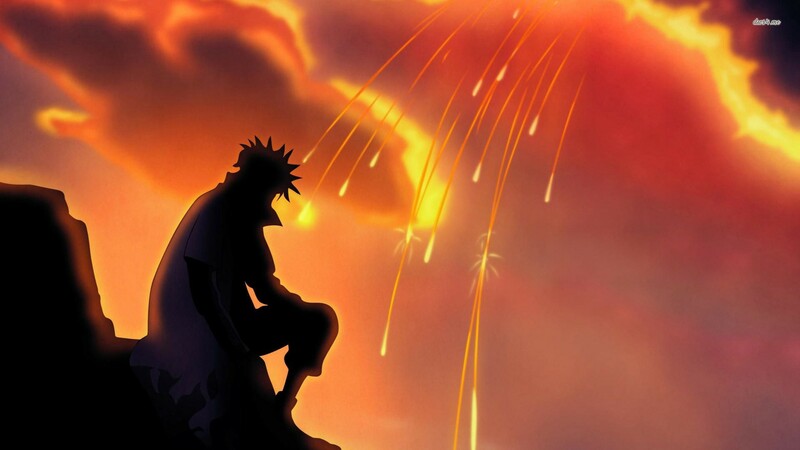 Ruled by The Fire Daimyo, the Land of Fire is one of the most temperate areas in all of the shinobi lands. The snaking rivers are all engrossed by the most famous parts of the land, known to travelers and natives alike as the thick, sprawling forests that cover the vast lands within the country. The Land of Wind is considered the Great Desert of the world, and it is easily the largest country of the five largest land markers in the world. Despite having the Demon Gate destroy nearly all life that use to dwell in it, the land itself looks no different, other than the occasional oasis. However, with the rising of the Demon Gate a hundred years ago, few have ventured into Wind Country since, and much about the country is now left in mystery. The Land of Water is essentially as simple as it sounds, it is a chain of islands that sit just outside the main continent that are mainly coastal in their environment. Though these islands are considered more tropical than the continent, they deviate from it and see harsh weather on a nearly monthly basis due to the strange increase in humidity and heat. It is unknown what inhabits the islands not already recorded for public record and it is advised not to adventure alone. Earth Country is similar in its layout to both Lightning and Fire. The southern borders are mainly forested hills and small mountains, as well as several small rivers that flow from the lakes near the south border. The further north, the higher the elevation gets, causing cooler air, less trees and shrubbery, and the land becomes mainly mountainous and rocky. The old Iwagakure once sat in the higher, more open elevations before being overrun. The ruins are still present even to this day. While the new Hidden Stone Village is yet to be common knowledge, there are rumors of another small village that exists, its position yet to be mapped. Much of the south border of Lightning is filled with forests, and begins to turn more mountainous the further north into the country. The majority of Lightning are valleys formed by mountain ranges which are sometimes filled with trees and open grassy areas. Though its land formation is similar to Earth Country, they have the added bonus of the vegetation to lands in a more temperate climate such as Fire Country or Wave. As much of Lightning is at a higher elevation, its not uncommon to see storm clouds or other formations often, as well as lightning striking on a consistent basis, especially depending on your location in the country. The west side of the country, towards the ocean, is a very dry and desert-like area with little to no vegetation. This group of minor nations was once a very prominent and rising force in the shinobi world, but now they have all been reduced after the invasion. If there are survivors here, it's likely they aren't sticking around for very long. When leaving any major location, the main paths travelers take follow the Travel Board. Be careful as you travel, as the open world is now demon territory, and they will stop at nothing to take you down. Anything and everything, so long as it doesn't fall under the category of spam, things that violate the ToS, or the law. Have your own site you'd like to partner up with ours? After a simple approval process, get it officially listed here! You'll even get your own color, even if you don't stay on the site! Consider it a badge of honor.